You may have seen the latest coconut oil news saying it's bad for you. We went past the headlines, and delved into actual studies. Coconut oil. So hot right now. But on the heels of the last week’s American Heart Association advisory warning against coconut oil, confusion is at an all-time high. Is it a superfood or a superfad? Is coconut oil the new snake oil? Is it overhyped like coconut water? High coconut oil intakes may increase cardiovascular disease risk, but evidence is conflicting. Observational evidence is positive, trial evidence in humans and animals is mixed. Coconut oil has potentially beneficial MCTs in it, but at lower levels than people think. New evidence comes out each year, sign up for updates. Coconuts are highly prized by both fictional castaways and real-life island cultures, especially in the Pacific islands. Two particular of the islands that have very high coconut fat intakes are Tokelau and Kitava. Tokelau residents obtained an astronomical 63% of their calories from coconut, while none showed signs of previous heart attacks by ECG detection. Maybe this shows that fat isn’t the enemy, and carbs are instead? WRONG. Kitavans got around 70% of their calories from carbs, with plenty of fruit sugar and starchy carbs in there, yet they also had low insulin levels and no detectable heart disease. Maybe these islanders are just genetically healthy? Wrong again, as followup research showed that lowering their saturated fat intake after migrating away, and eating more of a modern diet, led Tokelau residents to worse health. These island cultures, before being ‘gifted’ with our modern refined foods, ate coconut flesh and coconut cream. They didn’t have factories to isolate and purify coconut oil, or fancy grocery stores offering a consistent supply of jars of refined oils. Not to mention that these cultures ate diets of mostly tubers, fruits, and fish. Whereas we eat diets replete in soybean oil, wheat, and corn products. 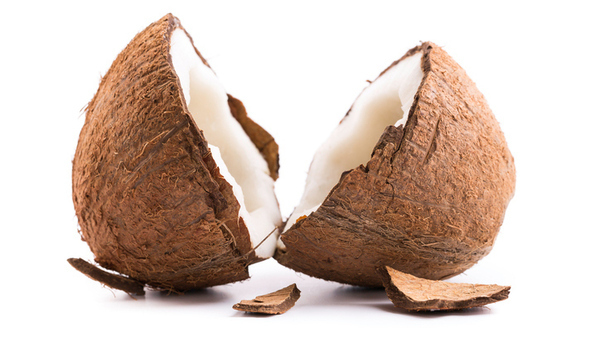 Physiological context matters, and saturated fat from coconut may very well be harmful in one physiological context and neutral or beneficial in another. You will never find a human study coconut oil study that matches the unique benefits of an animal study: extremely controlled diets in the lab, feeding coconut oil for the majority of the rodent’s life, etc. And in one particular mouse experiment, refined coconut oil actually fared better than refined olive oil in protecting against hardened arteries. A big caveat applies though: the other mouse experiment in the same study showed worse outcomes from coconut oil than olive oil. The former mice had their LDL receptors knocked out, while the latter mice had their ApoE proteins knocked out. The good news is that mice are omnivores like us. The bad news is that we’re still pretty different from mice, and translational research faces a number of issues. Specific differences abound. For example, humans can’t produce their own vitamin C but mice (and most other animals) can. Mouse hearts can react quite differently to drugs compared to human hearts. And when diseases are studied in mice, we often knock out a gene in order to more specifically study the problem. Like the LDL receptor knockout mice referred to in the previous point, which were inbred mice affectionately known as LDLRKO (low density lipoprotein receptor-deficient) mice. If you’re not an inbred mouse, the results might not apply to you. Coconut oil lacks some of the components of coconut cream, such as polyphenols, fiber, and vitamin E. Nobody knows how important this is, since trials don't often compare the two. The answer is that staple of French cuisine that Americans fear … butter. And the fear is not totally unjustified, since butter has a far greater negative impact on LDL cholesterol compared to heavy cream, which has a negligible to small impact. To understand why that is, you have to open your mind to The Matrix. Which in this case is the food matrix, like the milk fat globule membrane that surrounds dairy cream fat unless you refine it down to butter, or the matrix that coconut fat is part of before you force it out into a refined product. These structures can lead to different physiological effects, including potentially on cardiovascular health. MCT (Medium Chain Triglyceride) oil is a highly refined oil that’s made from coconut or palm oil. Since it’s highly refined, it must be bad, right? Nope, MCT oil is actually a potentially strong therapeutic agent, and could help with weight loss! Let’s be perfectly clear here: if you just gulp a couple tablespoons of MCT oil each day, you will most assuredly gain weight, since fat is quite energy dense. But studies show that replacing some existing vegetable oil intake with MCT oil could lead you to eat up to 500 kcals less per day. That is quite substantial, although the evidence is somewhat mixed. If you read the previous point, you might be excited by coconut oil’s potential to help weight loss. Sorry to be a downer, but the most recent paper (from April 2017) showed that coconut oil made people feel hungrier and less full than did olive oil. Uh-oh, what does that mean for your fat-laden morning coffee health elixir that supposedly blunts appetite? The evidence isn’t conclusive, but you may have been placebo’d. Here’s the problem with most nutrition information on the Internet, excluding information from yours truly and our objectively-minded allies. You can say something like “coconut oil contains these amazing things called MCTs; so coconut oil helps weight loss, epilepsy, and diabetes!”, and nobody will blink an eye because this crap is just too complicated for an average person to sort through. But coconut oil is not equivalent to the MCT oil that’s widely studied for medical conditions, and is actually quite far from it. While coconut oil contains MCTs, about half its fatty acid content comes from lauric acid, which is sometimes considered more of a long chain fatty acid than a medium chain one. Let’s just say it’s a pseudo-MCT. Lauric acid is 12 carbons long, while the commonly therapeutic MCTs are on the shorter side (8 or 10 carbons long). Those two carbons make a big difference, since shorter fatty acids of 10 carbons or less are more soluble in aqueous phases and also act as weak electrolytes, meaning they get absorbed faster. The end result is that around 95% of MCTs get absorbed directly for potential use as energy, while only about 25% of lauric acid does. But fatty acids also come in the form of triglycerides. When you attach three fatty acids to a backbone, you get a triglyceride. Not only can individual fatty acids be classified as medium or long chain, but so can whole triglycerides. And it turns out that only around 4% of triglycerides in coconut oil are classified as medium chain. This can have a major impact on cholesterol effects. Alzheimer’s patients have brains that don’t take up glucose that well, and the only alternate fuel the brain can use is ketone bodies. These are typically made as a side effect of very-low-carb dieting, which may not be the best route for Alzheimer’s patients. Another way to get ketone bodies is, instead of producing them yourself, eating the types of fats that favor ketone production. And MCTs fit that bill. So what about coconut oil? Nobody knows, since it’s not as good at ketone production as purified MCT oil. But less refined coconut products have still been theorized to possibly help Alzheimer’s as well as epilepsy. It took the Dietary Guidelines committee decades to change their outdated advice on dietary cholesterol. Basically, flawed experiments from the 1960s-1970s pointed at dietary cholesterol as being a main culprit in clogging up arteries, but soon thereafter science found that cholesterol in our blood is not very related to cholesterol in our food (but moreso to the amount and types of sugar and fat in our food). As late as 2010, the Guidelines still included recommendations to limit cholesterol intake, but finally in 2015 those recommendations disappeared. Officially-recommended diets don’t always do that well in clinical trials, such as this one testing an older version of the American Heart Association diet. Interestingly, the authors conclusion was “this didn’t work so well … we need to cut dietary cholesterol and fat even more severely!”. We’re shaking our collective heads. 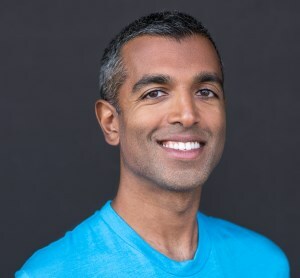 Recent analyses of red meat and saturated fat don’t show a strong connection to heart disease, and that’s been more or less the story for a while now. There were two trials comparing coconut oil to butter, and they both increased HDL by similar amounts. Butter may not be the devil that some make it out to be, but no compelling research shows that it significantly benefits heart health (at least compared to fats like olive oil). In addition, the idea of “HDL good! LDL bad!” is, predictably, oversimplified. While low HDL is a predictor of heart disease, attempts to raise it using pharmaceuticals have failed miserably, with drugs working awesomely to raise HDL only to lead to no positive effect or even more death. People with certain genetic mutations might also end up with very high and harmful HDL! HDL is still considered protective of heart disease, so don't be scared of it, but also don't focus only on HDL-raising tactics when considering heart health. Lipid oxidation, arterial inflammation and calcification ... many factors come into play. If you mention LDL, some people will plug their ears and tune you out: “I can’t hear you, you’ve fallen for the cholesterol trap, while I’ve escaped the wrath of the status quo and eat my sticks of butter with no shame”. "Small dense LDL" is around 24 nanometers in diameter, and "Large fluffy LDL" is around 27 nanometers, give or take a couple nanometers. In other words, this isn't a golf ball versus a basketball, but an orange versus a slightly smaller orange. And LDL is commonly separated into four rather than two types - LDL patterns I through IV, rather than small/large. ... cholesterol particle NUMBER seems to be a relatively greater determinant of harm than particle SIZE, and size often has little to no impact when controlling for other variables. Besides that, nobody knows just how much coconut oil increases smaller vs larger LDL. But we can very very crudely estimate by using the triglyceride:HDL ratio as a proxy. On the positive side, coconut oil led to lower triglycerides than did butter in one trial and beef in another trial. But the overall evidence is mixed for coconut oil, as it didn’t improve triglycerides more than unsaturated safflower oil. And while some saturated fatty acids are linked to higher large/fluffy LDL and lower small/dense LDL, coconut oil is a mix of fatty acids and not just the ones that were beneficial in that study (myristic and palmitic acid, which collectively make up about a quarter of the fats in coconut oil). Coconut oil is incredibly saturated, for a plant-based oil, and that saturation gives it an advantage for cooking. Cooking involves heat, and heat often messes with chemical bonds. But the chemical bonds in coconut oil are more stable than most other oils, so it doesn’t oxidize or polymerize as easily. Side note: polymerized unsaturated oils, conversely, are perfect for seasoning cast iron pans. Don’t deep fry with coconut oil! Coconut oil’s tropical cousin, palm oil, smokes at 235 degrees Celsius when unrefined. That’s good enough for deep frying, whereas unrefined coconut oil’s 177 °C smoke point will make your kitchen a smoky mess plus produce potential carcinogens. Refined coconut oil, on the other hand, might be borderline okay for deep frying, with a smoke point around 204 °C. Highly unsaturated fats like corn oil have some glowing recent research, which masks their dark underside and valuable older research. The more highly polyunsaturated the fat, the easier becomes rancid either during cooking, or slightly rancid if partially oxidized in your body. The Rose Corn Oil trial, from back in the 1960s, showed that replacing animal fats with corn oil actually substantially increased heart attack deaths. The overall message here is that the impact of a fat on one or more indirect parameters (HDL, LDL, adhesion, etc) doesn’t always relay the end effect of the oil. We’re unlikely to have any more long-term trials feeding large doses of certain fats, so we have to rely on what past researchers have shown. While lauric acid may not be the MCT you always dreamed of (see point 8 for more details), it does a bang up job as a natural antimicrobial. That’s partly because the antiviral, antibacterial compound monolaurin is formed from lauric acid. Some of the potential benefits are mostly in the realm of natural medicine adherents -- for example, swishing coconut oil in your mouth might help prevent cavities due to antibacterial properties (although the evidence is super limited at this point). But monolaurin is also used in many commercial products to prevent microbe growth, and it also doesn’t seem to be linked to microbial antibiotic resistance either. There's also a lot of potential for coconut oil to help gut disorders through microbial control, although the best research is currently in animal models. Indian grandmothers are widely known to pamper their hair with coconut oil. And in this case, ancestral wisdom is correct: coconut oil may help prevent hair damage. It has the unique combination of relatively short molecular chains that are also linear (aka saturated), which enables coconut oil to penetrate inside the hair shaft. And coconut oil can also be helpful for rough and scaly skin, performing better than olive oil for atopic dermatitis. 20) NAY: It can cause diarrhea? Make immune problems worse? These are open questions that are largely unresearched. Anecdotally, some people get upset stomach and even frank diarrhea from consuming moderate to large doses of coconut oil (although that seems to normalize after time for some people as well). And although coconut oil can be antimicrobial, you always have to consider the possibility that something with positive effects could have unintended side effects in some people. One animal study suggested that lauric acid could have harmful effects on autoimmunity, although the study may not have been that applicable to real life humans. Possible immune modulating effects of different fatty acids in coconut oil are largely unknown, so this is where dose really matters: a tablespoon a day is unlikely to have an impact, but high doses (especially in the contexting of having an existing immune condition) could be playing with fire. Coconut oil intake is obviously not a prerequisite for good health, and it’s one of the most expensive oils out there. That isn’t to say coconut oil can’t benefit health, as the myriad of evidence lines above suggest potential for benefit and much still to be learned. Just keep in mind the mantra of simplicity: it’s not wise to buy supplements (or supplemental foods) because you see other people doing it or the product is heavily marketed. If you like the taste, great. Or if you find evidence convincing, or want a stable cooking oil, excellent. Just make an informed decision for yourself instead of following the crowd.